A rare set of five dining chairs designed by Gio Ponti in collaboration with Lio Carminati for the Casa E Giardino company in 1942. The particularly graphical lines of the tapered legs and the curved backrests give the chairs a modern and elegant silhouette. 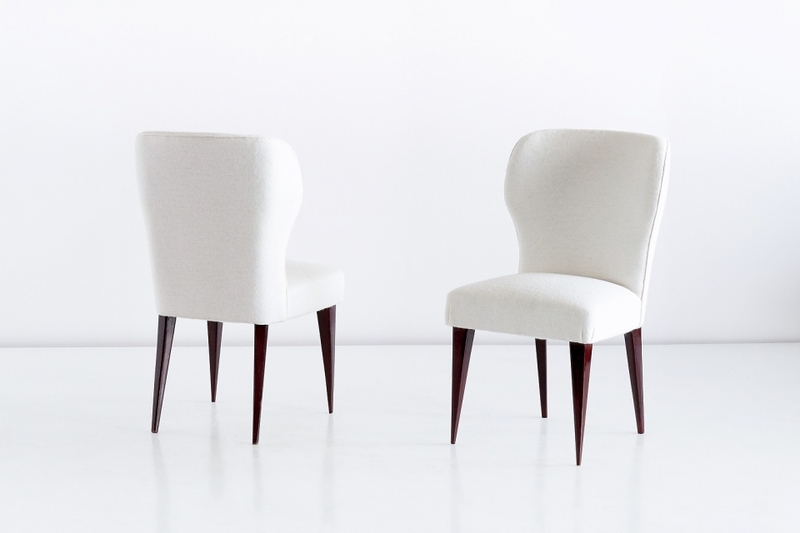 The comfortable chairs are upholstered in a soft white woolen fabric. Expertise and certificate number 17143/000 by the Gio Ponti Archives.